Hollie McNish performed poetry from her book Plum to a packed audience alongside poet Matt Abbott. “As a teenager the end of The Lion, The Witch and The Wardrobe by C S Lewis blew my mind and opened up possibilities. I also remember crying for three nights after reading Glue by Irvine Welsh. “What do I like about Sheffield? I like stepping out of the train station more than any other city because there is poetry on the side of buildings. I also like the Halloumi and chips you can get at the Millennium Gallery’s cafe, Azure. “I started writing poetry in my diaries from the age of 12 and just carried on writing. I wondered if I’d feel of value doing what I do as I used to work in town planning, but if there isn’t art then you are just existing. I really enjoy festivals. 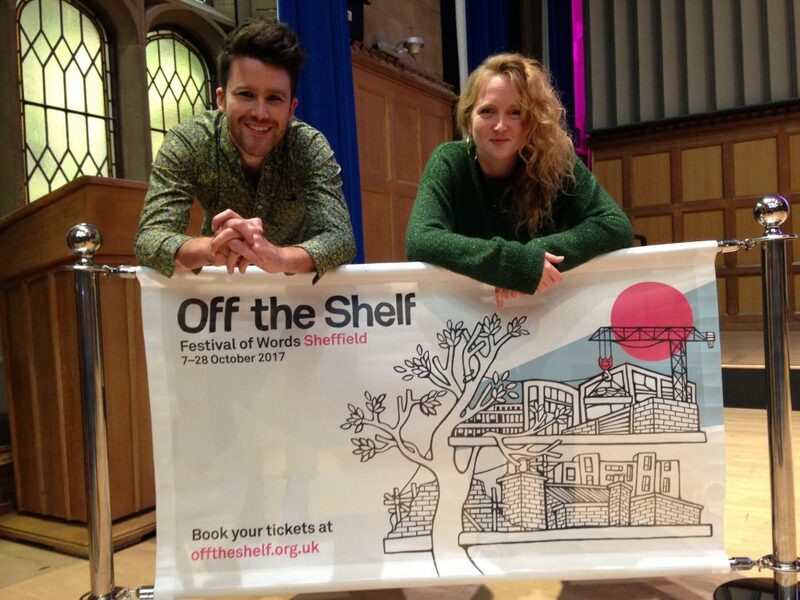 Performing alongside Hollie was Matt Abbott, leading political poet and rising star of the UK’s spoken word scene.